6.7 x 4.6 x 3.1 cm. 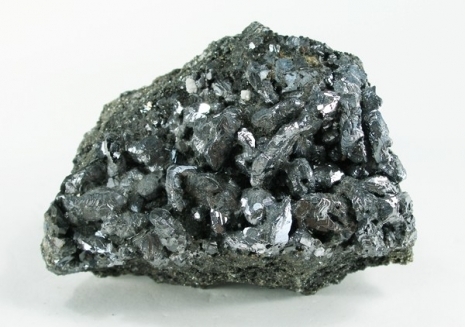 Splendent, metallic-gray, spinel-twinned galena crystals richly cover the super-sparkly matrix of microcrystalline pyrite, galena, sphalerite and quartz on this showy and rare specimen from the famous Alimon Mine at Huaron. 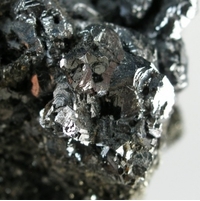 Spinel-twinned galena is very rare from this noted locale and this is a good one. 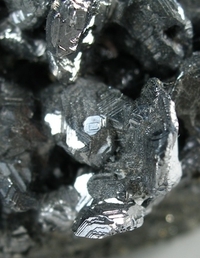 The twinned crystals reach 1.3 cm and have nice stepped-growth or a rippled look, which is distinctive to Alimon Mine galenas. Ex. Jaime Bird Collection and surely from the heyday of the 1970s to early 1980s production.